Price includes all tack & equipment, meals, seminars & workshops as well as an overall amazing learning experience! Arrive: Friday, Aug 31st at 4:00 p.m. Arrive at about 1:30 pm on Mon 9/3 to sign your camper out. The exhibition will begin at 2:00 pm. Expect to depart around 3:00 pm. 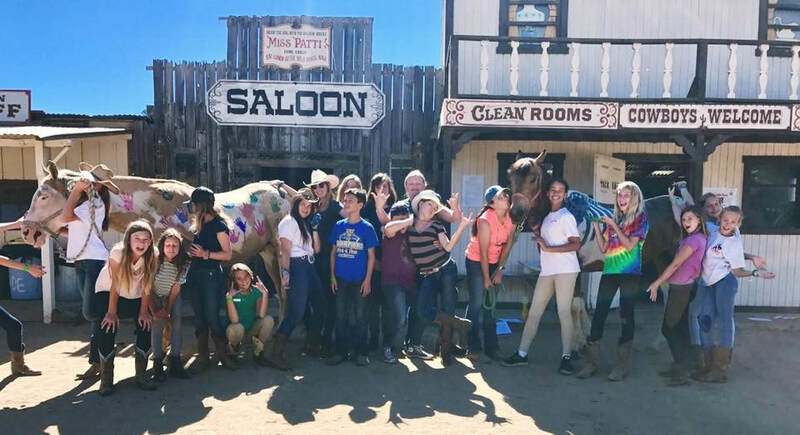 This unique program is designed for Horsemanship Ranked Campers ONLY (Buckaroo or higher), who are looking to focus on all things horses and work on developing those special skills. This is a rigorous workshop with lots of riding and advanced training in Equine Veterinary, Tack & Equipment, Training Young Horses, Working through Equine Behavior Issues, and MORE! We will not use Pony Bucks for this camp. Sweet Shop & Country Store hours will vary. Cash only. Please feel free to contact the ranch office of you have any questions at all. ~Click on "Add People, Sessions, Options"